Finding a venue for your wedding ceremony can be incredibly difficult. You want it to be a place that holds special meaning, while also providing a beautiful backdrop for pictures. 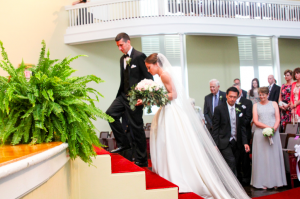 If you are looking to get married in Athens and the University of Georgia holds any sort of meaning to you, then the UGA Chapel is the perfect location for your wedding. 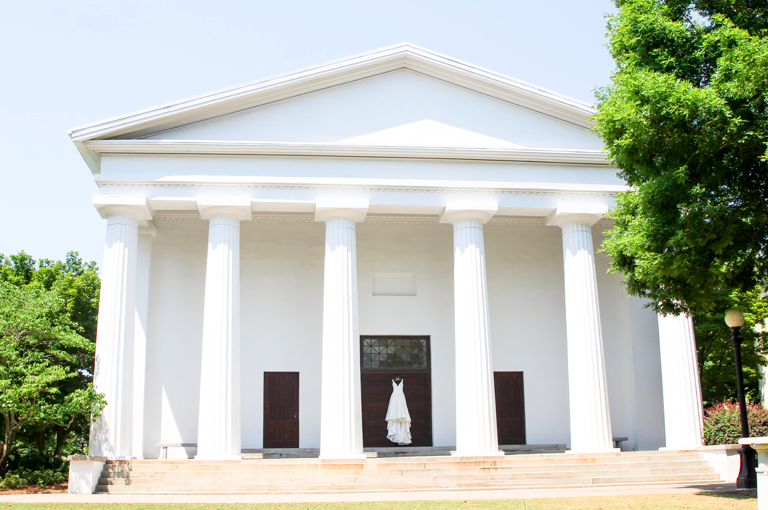 Built in 1832, this chapel still remains one of the most beautiful buildings on campus. 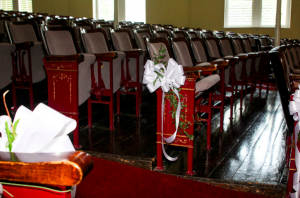 It can hold a maximum of 433 guests, and because of the arrangements of the seats in the chapel, a large or small wedding attendance would fit well. Behind the stage, there is a gorgeous painting of the Interior of Saint Peter’s in Rome that was originally painted by George Cook in 1847. 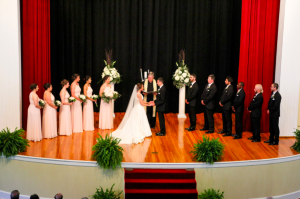 UGA has a list of policies that must be followed in order to preserve the chapel, as well as a request form, specific to weddings, that must be filled out in order to reserve the space. 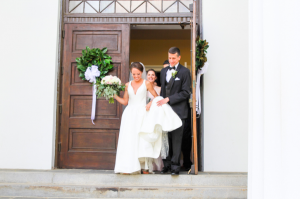 If you do decide to have your wedding at the chapel, UGA’s north campus is incredibly historic and would provide you with an abundance of locations for pictures to be taken, either before or after your wedding. Outside of the chapel itself, there are six giant columns. The building is white and makes a very clean background. The chapel bell is located directly behind the chapel and ringing the bell could be both a fun picture opportunity, as well as a way to commemorate this special day. The Arch is another great spot for photos that is just a moments walk away from the entrance of the chapel. If you are interested, you can see prices for the UGA Chapel here, and you can also schedule a visit to the space before making a final decision.